Imagine you’re a wolf in Europe…tough destiny? Loneliness? Not enough space? Well, think again: The continent is home to 17,000 brown bears in 10 populations spread over 22 countries. There are 9,000 lynx in 11 populations in 23 countries. Wolves are thriving, with more than 12,000 individuals found in 10 populations in 28 countries. Since wolverines only live in cold climates they, however, face threats from climate change. Though some small populations of large carnivores are in decline, most are thriving. The small populations however, might hold an important contribution to genetic diversity in Europeans large carnivore populations. 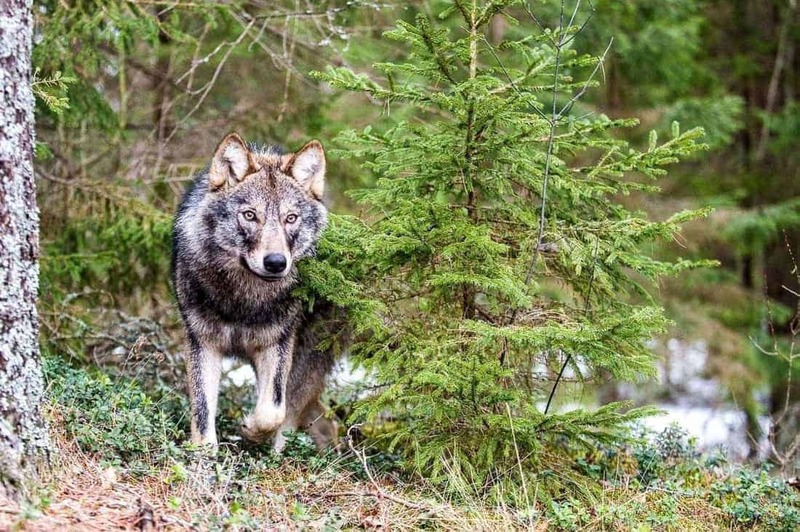 While In the United States wolves are seen as animals that can’t coexist with humans, a new study finds that Europe’s large carnivores are experiencing a resurgence in their numbers, and mostly in non protected areas where the animals coexist alongside humans. a public attitude that brings wildlife into the fold with human society, rather than banishing it to the wilderness. Of course there are clashes in Europe between carnivores and people, but traditional strategies — such as employing livestock-guarding dogs or shepherds, or corralling livestock in pens at night —help ease carnivore attacks on valuable livestock, and the compensation system in place for livestock losses can also help mitigate problems. Chapron also credited the FFH Directive, the set of conservation regulations that protects species and habitat types across national borders, for keeping carnivores from decline and extinction. However, in Austria, for example, poachers eliminated a population of brown bears that had been reintroduced. So the need for areas which provide security from persecution and poaching, such as wilderness areas will remain high. „There is a need to keep the conflict at a low intensity,” Chapron said.